The Force is strong this year at Disney’s Hollywood Studios! 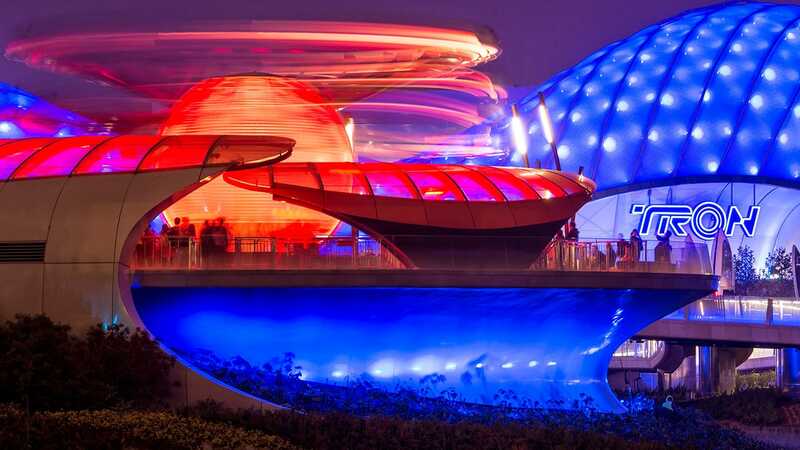 As Gary Buchanan has been sharing with everyone here on Disney Parks Blog, there’s a galaxy full of fun and excitement planned for this year’s Star Wars Weekends. Now there’s even more Star Wars fun coming your way with two new, out-of-this-world character dining experiences at Disney’s Hollywood Studios. Best of all, these exciting new character dining experiences won’t just be offered during Star Wars Weekends event days. Both experiences start May the 4th (known informally by many fans around the globe each year as “Star Wars Day”) and will continue to be offered daily through June 15, 2014. To book these experiences, guests can call 407-WDW-DINE or online at disneyworld.com/spring. I can’t wait to take my boys to this. Who else is making reservations? Any word on whether this will be extended? I have a dinner reservation there in the fall in the hopes that H&V will continue with the themed dinners, but I’d move elsewhere if there was no possibility of it! Hi everyone, I booked Breakfast at Hollywood & Vine. It seems the character dining is saying for the dinner buffet. Does anyone know if the characters will be around for breakfast too?? We have a 10:30am reso. Thanks!! Happy I am celebrating my birthday and my daughters with the Jedi Mickey Character Dinner/Fantasmic Package! Great way to start the birthday celebration! Really would love to see this extended through the summer or permanently! Will be sad to miss it in July! Have you heard any rumors they might make that a permanent character meal? We did the experience on May the 4th and it was worth every penny! The food was delicious and the characters were awesome!!!!! I would definitely recommend this to everyone and I will definitely be doing it again if it returns next year! Any word on whether this will be offered next year as well? We are booking our trip for June 5th, 2015. Thanks in advance! What’s on the menu for the Star Wars themed dinner at Hollywood and Vine? I got my dinner reservations for the May 16th, the family is super excited it. Does anyone know who the Celebrities are going to be the first week or is it only gonna be Taylor? Will Tables in Wonderland discount be accepted for the SW Dinner?? Thanks! Can you use the Diisney dining plan? How many meals credits will it take? Thanks for the info. For those of you who have asked, I’ve checked with my friends on the Food & Beverage team, and while the menu for “Star Wars Dine-In Galactic Breakfast” is not yet available, I can tell you it will be prix fixe a la carte. That is, for the one fixed price you’ll receive an assortment of pastries, a choice of a starter and an entree from the menu, and a non-alcoholic beverage. Will the characters be stationary so we can ensure we get photos with the ones we want or will they be walking around? I am not a fan of the photos with your 1/2 eaten plate of food in front of you. I’m booked for May 10 – was able to do it online. Would be interested in hearing if this is a buffet or order from a menu? Hopefully that info will become available. This added dining option sounds fun. Since the Sci Fi Dine In Theater Restaurant is a Lunch and Dinner venue, could we possibly see a breakfast menu? Will this be all-you-care-to-eat, or a la cart breakfast? Will Disney Dining Plans be accepted. If so, would it be a Table Service, or Quick Service? 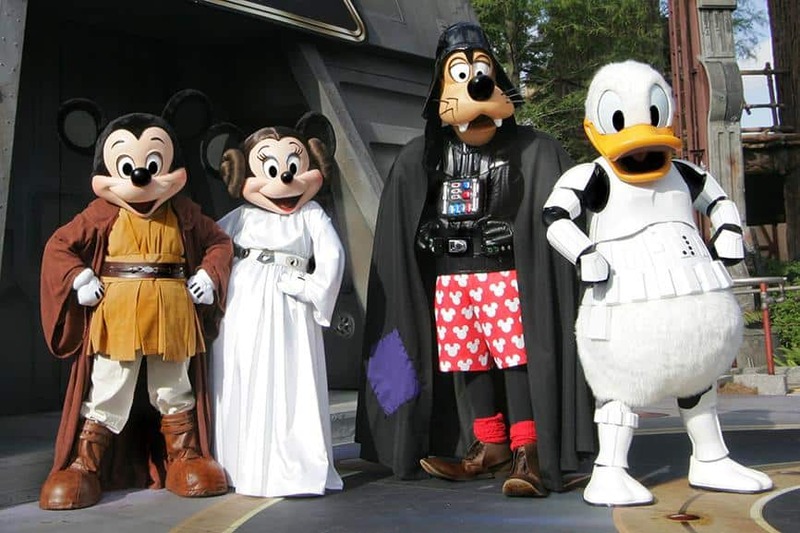 Will this be Disney Characters (dressed as Star Wars Characters)only, or will Star Wars characters also make appearances? Always fun to see something new. Thanks. Are there any other special activities scheduled for May 4 at Hollywood Studios? Has the menu been released for the Sci-Fi Galactic breakfast? I was able to book breakfast online for Monday May 26 but couldn’t get any times on Sat or Sunday. Can’t wait to go! Yay! Made we have reservations now for the dinner and the breakfast May 30 and31. So excited! Was able to reserve the Sci-Fi breakfast via phone for May 7th, thanks so much for the info. My son and husband are so excited! Originally, I was disappointed by this. We’re not Star Wars fans at all and specifically planned around the Star Wars weekends. Dont get me wrong, we appreciate the whole franchise, it’s just not our thing. We can only get to WDW in May this year so we’re planning to go to DHS on a Thursday. Does this mean our dinner Sci-Fi DineIn reservations we made weeks ago will be Star Wars themed? Or is that location only being re-themed for breakfast?? Paul – The ‘Star Wars’ characters, music, and film clips will only be presented during breakfast hours. Lunch and dinner at the Sci-Fi Dine-In Theater Restaurant will be the regular experience. I was able to book Sci-Fi on my My Disney Experience account for the morning of May 6th! I am so happy that I got reservations for dinner and breakfast, and overlaps with family here! We are booked for the Jedi Mickey Character Dinner on Star Wars Day. May the 4th be with you! Oh, I just double checked…the online reservations DO work now! I was able to book the Sci Fi experience yesterday (for weekend V). Previous posters are correct. You have to call in and talk to a LIVE person to book. We are going to surprise the kids like we surprised them with Cinderella’s castle meal last year. Still not as cool as the Hoopla, but we are getting closer. Will the character meals be the only Star Wars themed event for May 4th? I am hoping for Star Wars Day shirt and pin like previous years. I just booked a breakfast character dining for Sci-Fi Dine In Theatre for May 5th so it looks like you can book this online without calling. It didn’t officially say the title this blog post gives it but it does say that it is “character dining”. Jedi Mickey Dinner booked! My boys are going to love it. i can’t wait to do the star wars dining experience. We are doing it on May 8th at Hollywood & Vine. I haven’t seen my daughter this excited for dinner..can’t wait!!! Eva – Have a great time! Surprisingly, I was able to reserve a breakfast for May 23rd this evening by calling. So Star Wars breakfast then Rock Your Disney Side Party. YAY! You can’t make reservations online for the Sci-Fi Dine-In Theater breakfast. Online reservations are lunch & dinner only. I had to call.